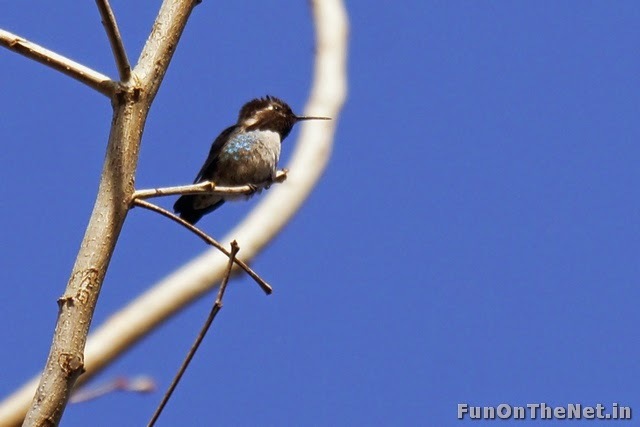 The smallest bird in the bird fly extremely fast-up to 80 km/h. They do upto 80 swings in a second. 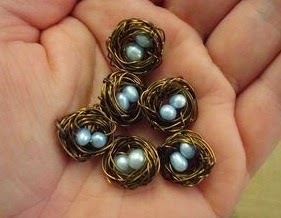 They are very mobile, fervent birds are extremely courageous in attacks with larger bird. The male weighs 1.7g and its length is about 5cm. Half of the length is made of the tail and the beak. The females are a bit larger compared to the males. The Bee Humming bird population have clearly declined, presumably as a result of reduction in the mature forest habitat they require. 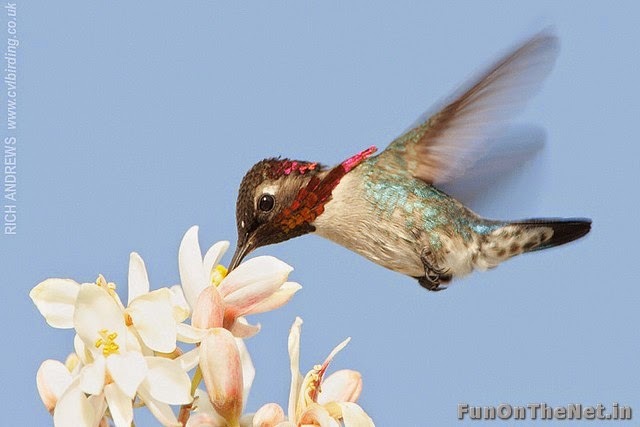 Bee Humming birds are the tiniest birds in the world. Bee Humming birds can flash their bright colours, as well as hide them when needed. 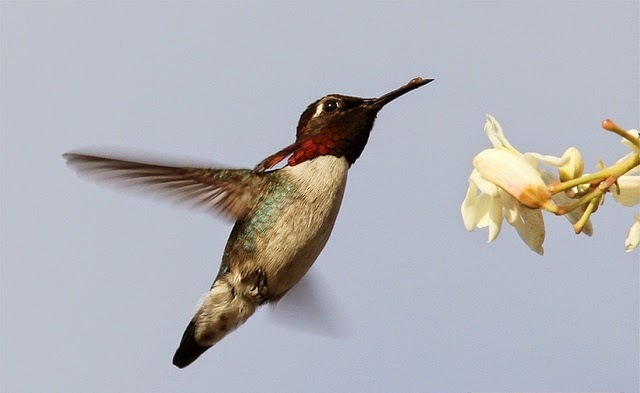 Bee Humming bird can hear better than humans and can see farther than humans. 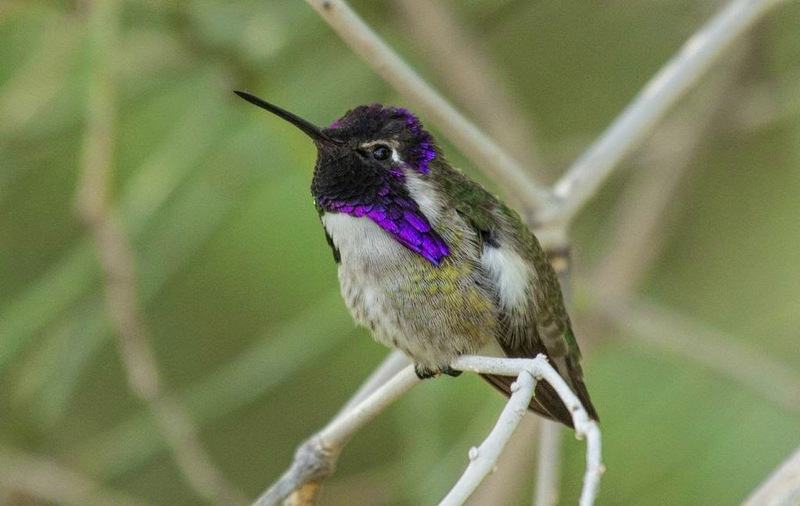 Bee Humming birds can see ultraviolet light. 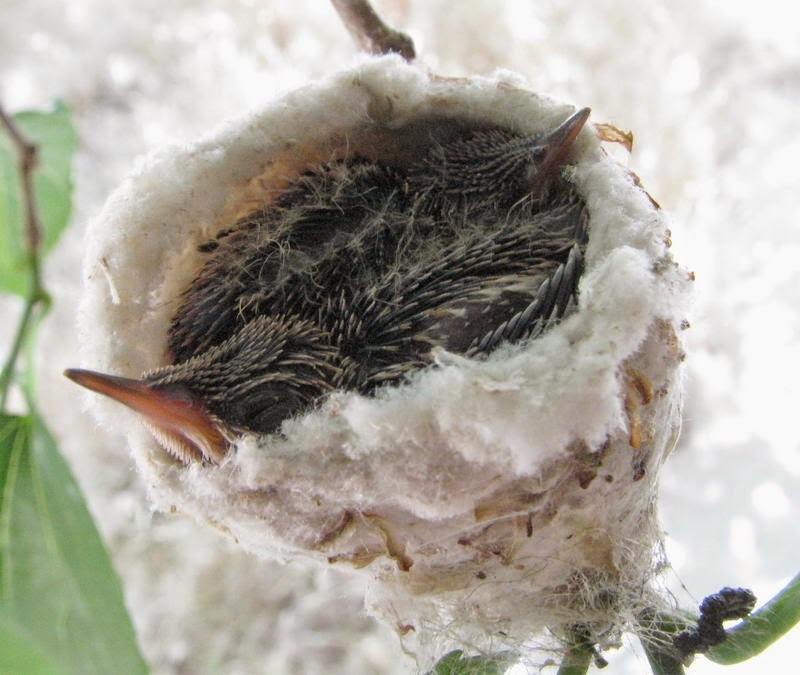 Bee Hummingbird have little to no sense of smell. 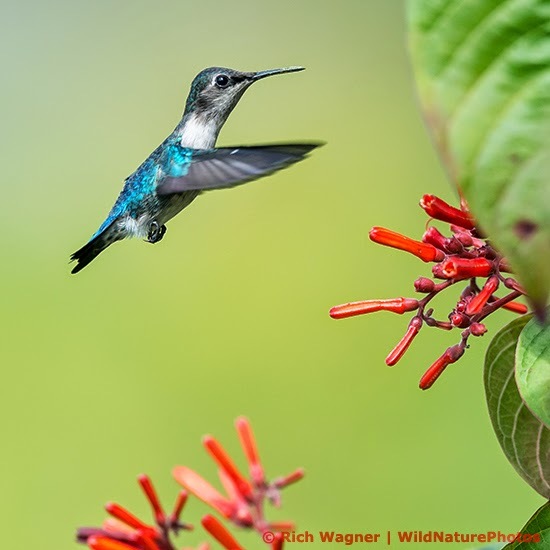 Hummingbird will use its tongue to lap up nectar from flowers and feeders. The Hummingbird’s tongue is grooved like the shape of a “W’’. Hummingbird bottom beak is slightly flexible. 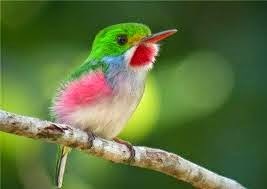 A Hummingbird hear beats up to 1,260 times per minute.A Hummingbird will take about 250 breaths per minute white at rest. Hummingbird spend most of their life perching. 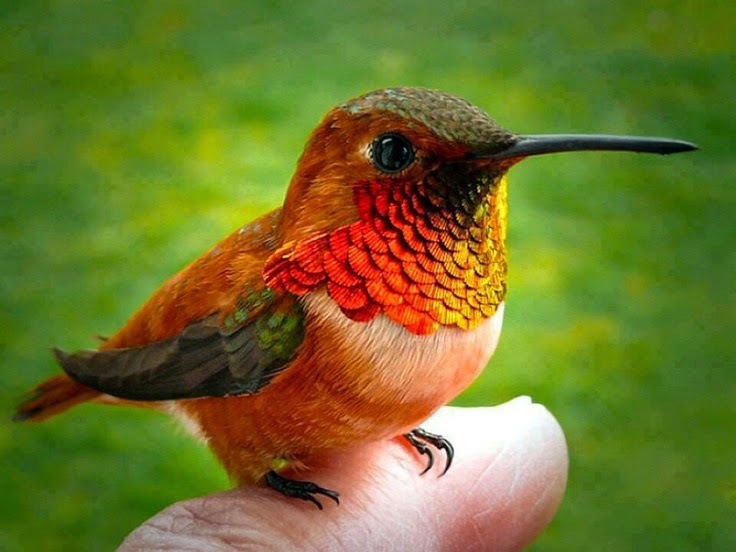 The Hummingbird’s body temperature is around 107 degrees Fahrenheit. Hummingbirds have an average life span of about 5 years and can live for more than 10 years. A Hummingbird wings will beat about 70 times per second. Hummingbirds are only birds that can fly both forward and backwards. A Hummingbird’s wings will rotate in a full circle. 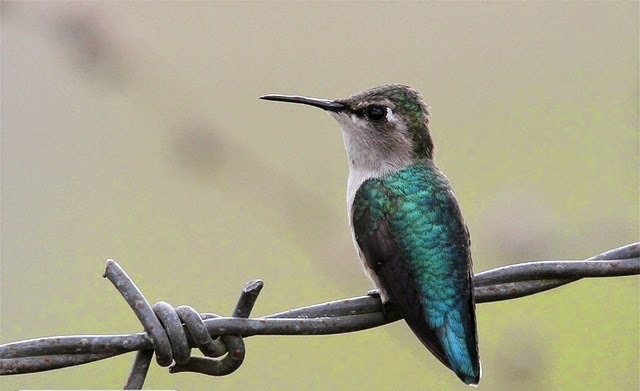 A Hummingbird will visit an average of 1000 flowers per day for nectar. Hummingbird’s don’t really sing, they chirp. 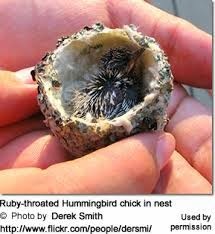 A Hummingbirds favorite color is red, and like tubular types of flowers the most. 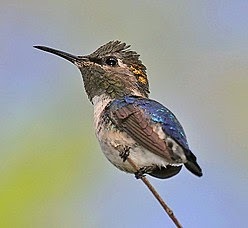 The Bee Hummingbird’s get their name from the humming sound produced by their wings when flying.